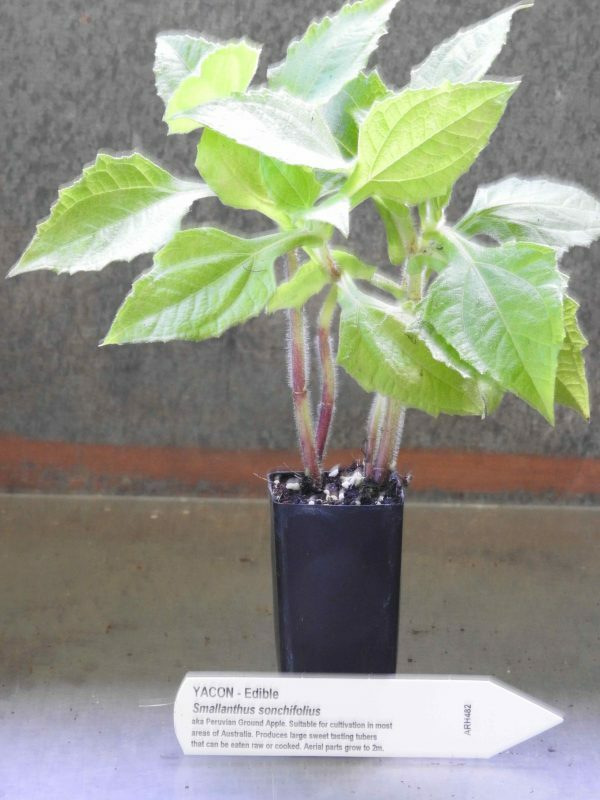 Yacon plant, Smallanthus sonchifolius, is also known as Peruvian Ground Apple, Strawberry Jicama, Bolivian Sunroot, Sweet-root and Ground Pear. An easy to grow vegetable that is suitable for most areas in Australia. Yacon plant produces large sweet tasting tubers that can be eaten raw or cooked. Aerial parts grow to 2m. Be the first to review “Yacon, plant” Click here to cancel reply.